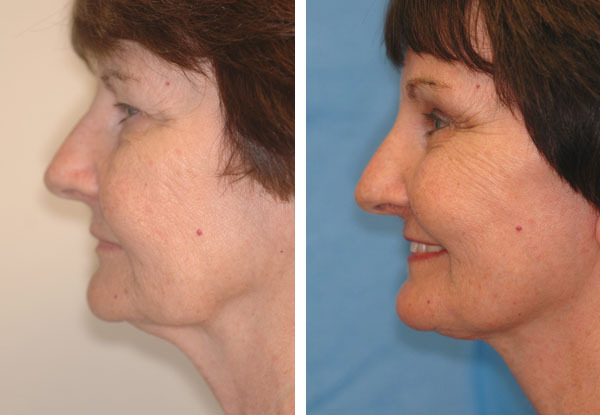 Facelift, or rhytidectomy, is a surgical procedure to improve visible signs of aging on the face and neck. As individuals age, the skin and muscles of the face region begin to lose tone. A facelift can improve the most visible signs of aging by smoothing the loose skin on your face and neck, tightening underlying tissues and removing excess fat. As a result, your face will appear firmer and fresher. A facelift can be performed alone, or in conjunction with other procedures, such as a brow lift, facial liposuction, eyelid surgery, or nasal surgery.